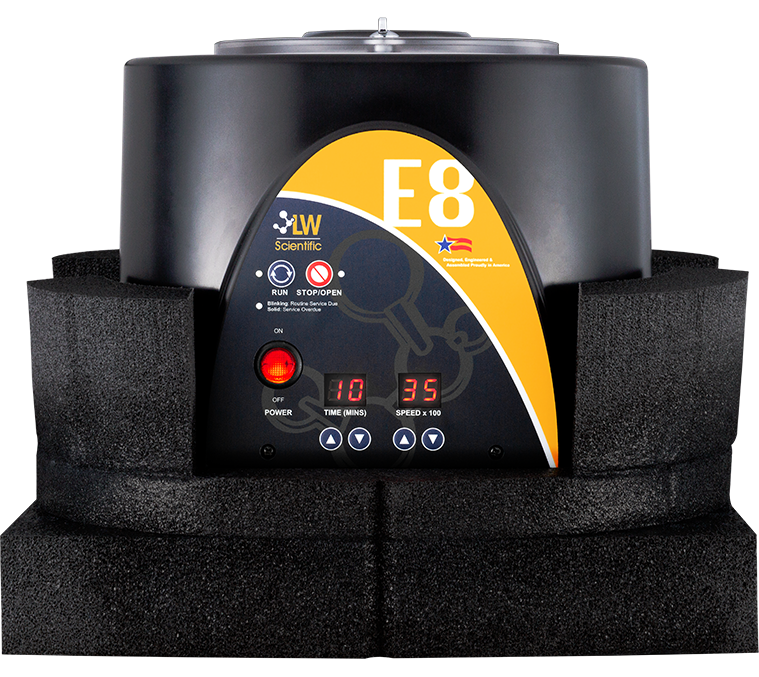 The portable E8 Portafuge is designed for spinning on the go. This model is loaded with features and improvements, such as higher speeds for faster and cleaner separations, quieter operation, lower chamber temperatures for cooler test-tube samples, and auto-calibrating function for precision speeds. It even has an auto-brake to stop the rotor in less than 20 seconds to save time. Simply place the centrifuge into the included car seat, strap the car seat into your vehicle, and insert the power outlet cord into your car’s 12v power outlet.